On February 7 1987, Open Your Heart hit #1 on the Billboard Hot 100 in the U.S. It was the 4th international single release from the True Blue album. The single’s b-side, White Heat, was inspired by the 1949 Warner Bros. film of the same name starring James Cagney, to whom Madonna dedicated the song. Interspersed with dialogue taken directly from the film, Madonna’s lyrics put her love of double entendre to clever use as she compares the film’s themes of trust and betrayal among gang members to affairs of the heart. 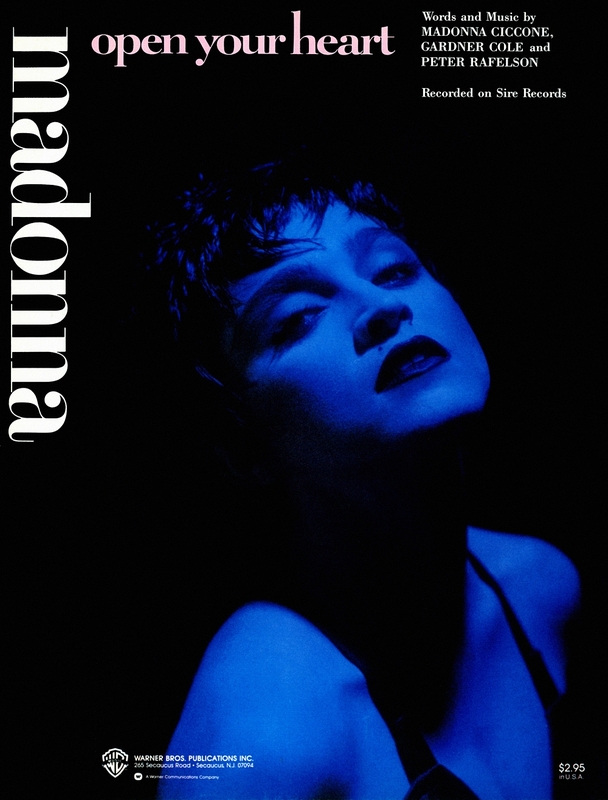 White Heat was written and produced by Madonna & Patrick Leonard and was one of the earlier songs developed for the True Blue album, along with Open Your Heart. The initial copyright registration, submitted to the Library Of Congress in 1985, lists the song under its original title, Get Up Stand Tall. Both songs were performed during 1987’s Who’s That Girl Tour. White Heat was also featured as the b-side for the single, Who’s That Girl, released in the summer of 1987. White Heat-a brilliant and dynamic rocker that Madonna sings with gusto and verve-that goes double as a veiled tribute to her late mother!